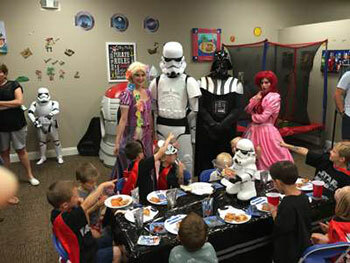 Kids Kustom Parties offers a one-of-a-kind children’s party venue. We have something for everyone. Our party place is loaded with exciting activities and amenities designed with the specific tastes and needs of children ages 1-12 in mind. 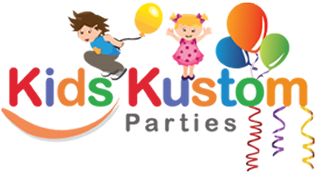 We’ll work closely with you to customize your child’s party based on your child’s interests and age. With our friendly, accommodating, team on your side, just about anything is possible! Generally, our party themes, characters, and props are appropriate for children ages 1 to 12. Save yourself the stress of party-planning and cleanup. 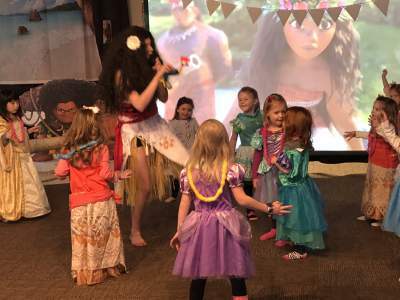 Choose Kids Kustom Parties in Palatine, IL. It's perfect for birthday parties, family events, and much more! Prefer to have our party characters for kids at your house? We can do that, too. Contact us today to schedule an in-person tour of our Palatine kid's party venue.